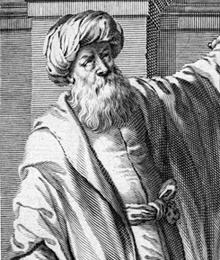 Eolaí Arabach Siach il-léannta ab ea Alhazen nó Abū ʿAlī al-Ḥasan ibn al-Ḥasan ibn al-Haytham (Araibis: أبو علي، الحسن بن الحسن بن الهيثم) (965 – 1039). Alhazen nó Alhacen an leagan Laidinithe dá ainm. Tugtar al-Haytham air go minic anois i scríbhinní acadúla. Rugadh Alhazen in Basra, in Iaráic an lae inniu, agus fuair sé bás i gCaireo na hÉigipte. Fealsamh, fisiceoir, matamaiticeoir, réalteolaí agus ollamh a bhí ann. Chabhraigh sé go mór le forbairt na hoptaice agus le ról na tástála san modh eolaíochta. "Athair na hoptaice" a thugtar air as a chuid shaothar ar lionsaí, scátháin, fhrithchaitheamh agus athraonadh. Tugadh an leathanach seo cothrom le dáta an 30 Bealtaine 2018 ag 12:55.